Apple iPhone and iPad use a special Micro Sim card slot. The Micro Sim card in iPhone 4 saves the unused space and also prevents the quick unlock of the phone from the official carrier. The size of normal Mini Sim card is around 15mm x 25mm. Whereas the size of the Micro Sim card used in iPhone 4 is only 12mm x 15mm. We can cut the normal Sim card to Micro Sim card manually by using a scale and cutter. However, the process should be very precise to avoid damage to the Sim card. 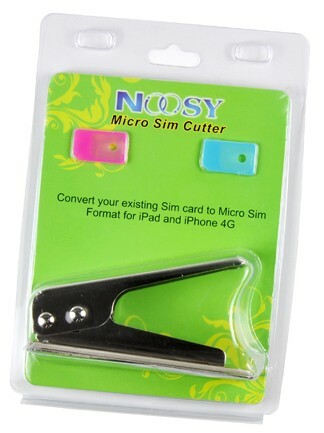 As an alternative method, there is an iPhone 4 Sim cutter, which makes it easy to cut mini Sim card to Micro Sim card exactly as required. The package of the product also contains two Sim card adapters in case if the user needs to switch back to Mini Sim mode. How to cut iPhone 4 Mini Sim to Micro SIM. Just load the mini SIM card to the Micro Sim cutter and press firmly on the top. Make sure to complete this in a single strong press. The Micro Sim card can be collected from under the cutter slot. Put the Sim card in iPhone 4 slot and activate using iTunes. That’s it. You can buy iPhone 4 Mini Sim to Micro Sim cutter from us (India) for just $20 or 950 INR. Contact us for more details.